Picture of above of Bob appears to be from “No Direction Home” clip of Leopard-Skin Pill-Box. Is that clip from the Dublin concert? I’ve never been able to find full footage (aud or video)! 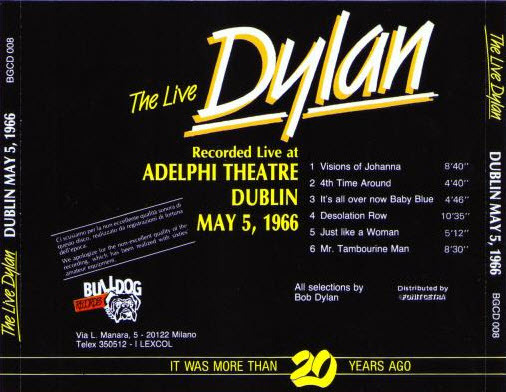 I was there that rainy night in Dublin’s Adelphi Theatre, third row from the stage. 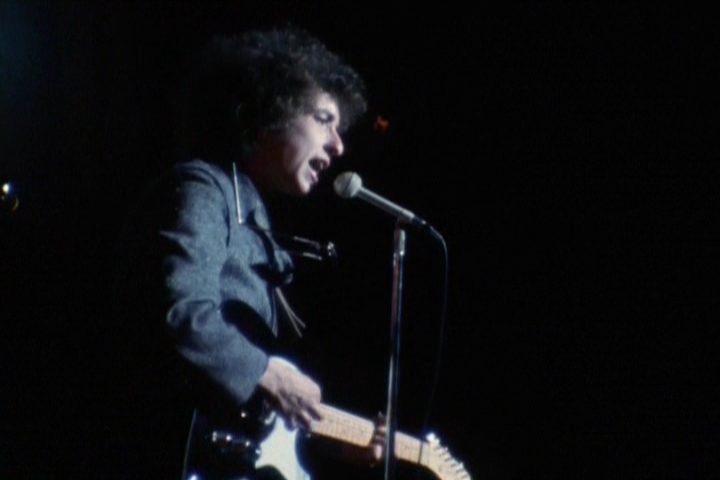 I was 15, my first and best concert, though I still blame Bob and the guys for hearing damage, haha, the sound was so loud, as good rock music should be played. Thank’s guys. The acoustic set was well received, but when the Band came on for the second half, all the “folkies” just got up, and walked out quietly. Most of the hassle had less to do with war, though I’ll defer to Robbie, he’d a better view, or Dylan going electric, but came from disgruntled fans, only there for the “hits”, complaining about the volume, and that he played a lot from the not yet released “Blonde on Blonde”, for me a great plus, hearing new stuff from this, for me, his Magnum Opus. I have seen Him twice subsequently in Dublin, in the 90’s, both concerts a great disappointment. Once, as critics aptly described it, “a nightmare in a wind tunnel,” and another, during his return to his folk style, when his reworking of his older material was so different, it took me a while to actually recognise ” Tambourine Man.” Definitely no improvement on the original. For ’66 concert though, I’d forgive him anything even, ” Wiggle, wiggle”.